Fresh, healthy, fruity - smoothies are supposed to be this. Especially since it is so easy to take the recommended 5 portions of whole vegetables or fruit a day as a pureed mix quickly and easily. 1-2-3 and it’s done. An energetic, velvety-creamy power drink is already made, isn't it? But who came up with the idea of throwing bananas and salad, kiwis and avocado into the blender to produce a green, creamy mass? It was Victoria Boutenko, a Russian, who now lives with her family in the USA. Chronic illnesses and overweight in herself and her family, as well as her desire to change her diet to raw food, were successful. Her health improved and she began to focus on healthy eating. She made a research of the nutritional behaviour of chimpanzees, with whom we humans share 99.4% of genes. She discovered that wild chimpanzees wrapped leaves around bananas to make them tastier. The result were green smoothies, whose chlorophyll content, in their opinion, could be better utilised by the body. Chlorophyll is present in the green leaves and has a positive effect on the body. It improves the blood count, supplies it with iron, helps to detoxify and cleanse the liver, helps against body and bad breath and alleviates gum problems. It also has an anti-inflammatory effect, improves vision and supports the intestinal flora. WHAT ABOUT THE NUTRIENTS ? However, nutrients can be lost during processing, if not all of a fruit or vegetable is used. Usually the proportion of vital substances in the skin is higher than in the flesh, for example an apple. Also the feeling of satiety is differently, there is more liquid and there is less chewing. In any case, according to the DGE (German Nutrition Society), smoothies should not be the main meal - and the best thing is still: homemade. You know then exactly, what’s in your freshly mixed smoothie. They’re high in vitamins, minerals and many other beneficial nutrients, depending on the fruits and vegetables you’ve choosen. HELP SMOOTHIES HELP TO LOOSE WEIGHT ? They can already help to reduce weight by simply skipping a solid meal and replacing it with a fine green and fruity smoothie. It should have between 200 and 400 kcal to make it work. In general, a healthy and balanced diet helps to maintain or lose weight. Smoothies can make a good addition to a healthy diet and be a good choice, if you’re not consuming enough fruits and vegetables. CREATIVE VARIETY OF TASTE ! The nice thing about smoothies is the possibility to vary the ingredients. Banana or mango, apple or spinach. Here you can try out all possible combinations, even with spices such as ginger and vanilla. And add toppings like nuts or seeds, for example with our Superfood Canihua Seeds. Or the nutrients are in the foreground and according to that fruit and vegetables should be used. 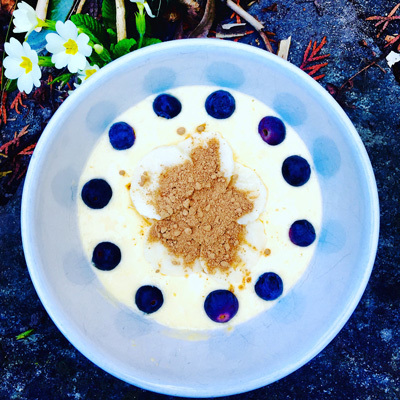 One variation is the Smoothie Bowls, which have become a nutritional trend. The ingredients are mixed a little more creamy and served in a bowl instead of from a glass. Of course, the toppings are important, as they end up on the bowl as edible works of art. In any case, with their high nutrient content, they help you to wake up quickly in the morning and to feel saturated for a long time. And as a snack in between they are excellent. There are countless inspirations. On Instagram and Pinterest you can find great recipe ideas, as well as in many, many books, for example by Julie Morris or Irina Pawassar. We have also come up with some recipes for you. 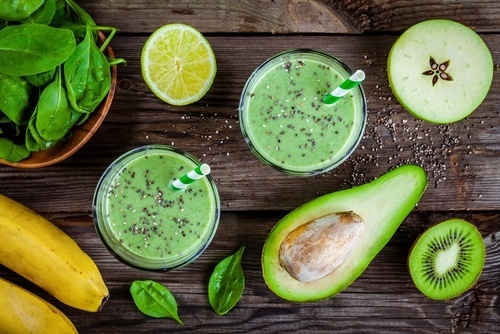 What are your smoothie favorites? Which do you like best?